Australian duo Samantha Stosur and Jarmila Gajdosova will lead the Australian charge against Switzerland in their Fed Cup by BNP Paribas World Group II tomorrow. 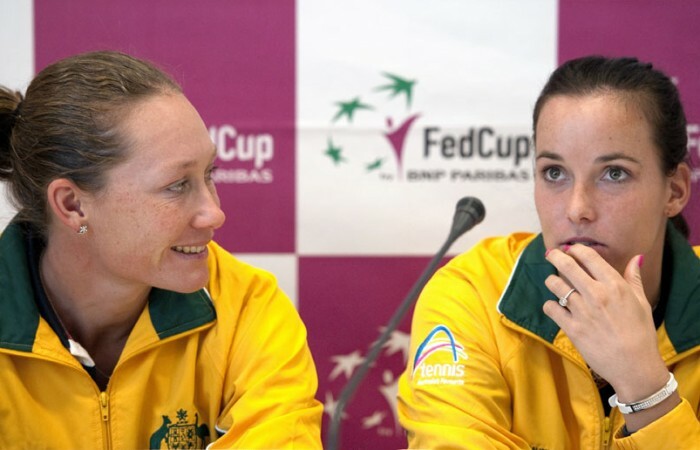 Australian duo Samantha Stosur (No.5) and Jarmila Gajdosova (No.40) will lead the Australian charge against Switzerland in their Fed Cup by BNP Paribas World Group II tomorrow. The Australians will be looking to return to the World Group in 2013 with a win over the Swiss this weekend, Saturday 4 and Sunday 5 February 2012, and another success in April to re-instate them in the elite eight. Revealed at today’s draw, Australia’s No.1 player, Stosur, will open proceedings at the Forum Fribourg against Switzerland’s No.2 Timea Bacsinszky (No.244). 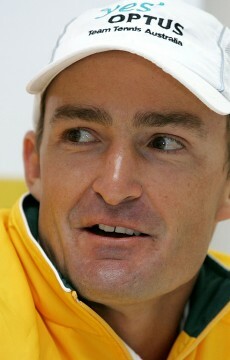 Stosur said she expects it will a close contest despite Australia being touted as the favourite for this weekend’s tie. “Any match in Fed Cup is difficult and you can’t go into any of these matches lightly,” Stosur said. “Obviously we are playing here in Switzerland, in their home country and I am sure there is going to be a lot of support for them so I am definitely going to have to go out there and play some of my best tennis. “We [Bascsinszky and I] have played a couple of times. We played against each other in a Fed Cup a few years ago and I think we have played a few matches out on tour but not for a long time. Australian Fed Cup Captain, David Taylor said it was a difficult decision on who would play the second singles match. “It was a difficult decision. Both girls [Casey Dellacqua and Jelena Dokic] were playing very well coming in here and they practiced well all week but we [Nicole Bradtke and I] gave the nod to Jarmila but there wasn’t much in that,” Taylor said. The tie will see the reverse singles on Sunday with Stosur to play Voegele and Gajdosova against Bacsinszky. Jelena Dokic (No.67) will join Casey Dellacqua (No.103) as the doubles pairing against No.219 Amra Sadikovic and Bacsinszky. This will be the last match to be played on Sunday. Stay tuned to tennis.com.au throughout the weekend for live scores, videos, photos and news from the tie. Or follow us onFacebook and Twitter for updates.